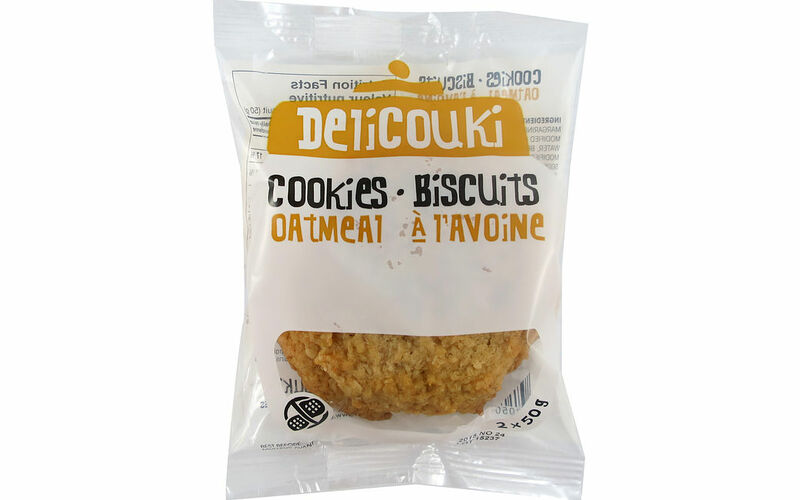 Rolled oats, wheat flour, margarine (canola oil, modified palm and modified palm kernel oils (milk, soy)), sugar, water, brown sugar, invert sugar, canola oil, modified corn starch, soy lecithin, salt, sodium bicarbonate, natural and artificial flavor, calcium propionate, xanthan gum, guar gum. Contains: milk, soy, wheat, oat. May contain: eggs, sulphites, mustard.